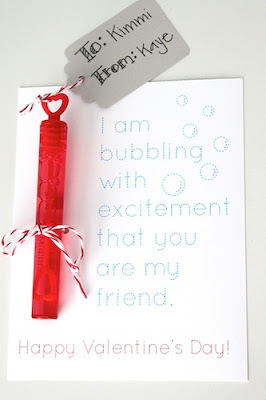 Or if you want a clever valentine phrase, Armelle Blog has free bubble valentine printables (see above) that say 'Being Your Friend Makes Me Burst With Joy Valentine.' They would work with balloons too, if you can't get your hands on enough little bottles of bubbles. Or you could go with the 'Don't Burst My Bubble Valentine' printable form Little Birdie Secrets. 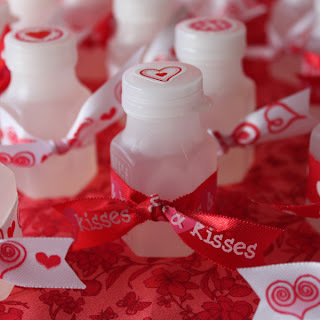 Lots of fun ideas out there, but here are 5 ideas to get you started! 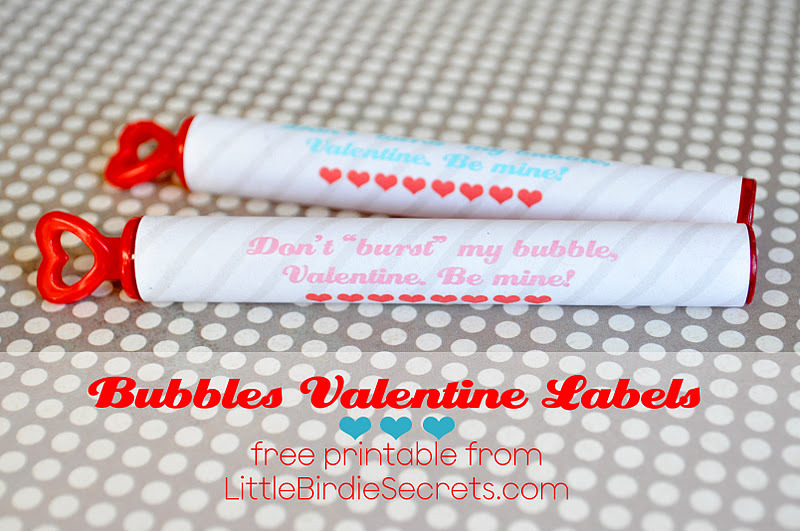 That first one would be cute with Starbursts too!